Duke University Press, 9780822346043, 385pp. 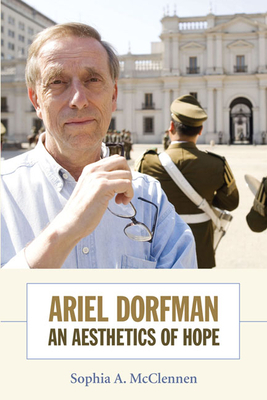 Ariel Dorfman: An Aesthetics of Hope is a critical introduction to the life and work of the internationally renowned writer, activist, and intellectual Ariel Dorfman. It is the first book about the author in English and the first in any language to address the full range of his writing to date. Consistently challenging assumptions and refusing preconceived categories, Dorfman has published in every major literary genre (novel, short story, poetry, drama); adopted literary forms including the picaresque, epic, noir, and theater of the absurd; and produced a vast amount of cultural criticism. His works are read as part of the Latin American literary canon, as examples of human rights literature, as meditations on exile and displacement, and within the tradition of bilingual, cross-cultural, and ethnic writing. Yet, as Sophia A. McClennen shows, when Dorfman's extensive writings are considered as an integrated whole, a cohesive aesthetic emerges, an "aesthetics of hope" that foregrounds the arts as vital to our understanding of the world and our struggles to change it. To illuminate Dorfman's thematic concerns, McClennen chronicles the writer's life, including his experiences working with Salvador Allende and his exile from Chile during the dictatorship of Augusto Pinochet, and she provides a careful account of his literary and cultural influences. Tracing his literary career chronologically, McClennen interprets Dorfman's less-known texts alongside his most well-known works, which include How to Read Donald Duck, the pioneering critique of Western ideology and media culture co-authored with Armand Mattelart, and the award-winning play Death and the Maiden. In addition, McClennen provides two valuable appendices: a chronology documenting important dates and events in Dorfman's life, and a full bibliography of his work in English and in Spanish. Sophia A. McClennen is Associate Professor of Comparative Literature, Spanish, and Women's Studies at Pennsylvania State University. She is the author of The Dialectics of Exile: Nation, Time, Language, and Space in Hispanic Literatures.